On May 16th, 2017, Matheson hosted a Safety Awareness Event for the Toronto Transit Commission at the Mount Dennis Bus Garage where we just completed another successful project. 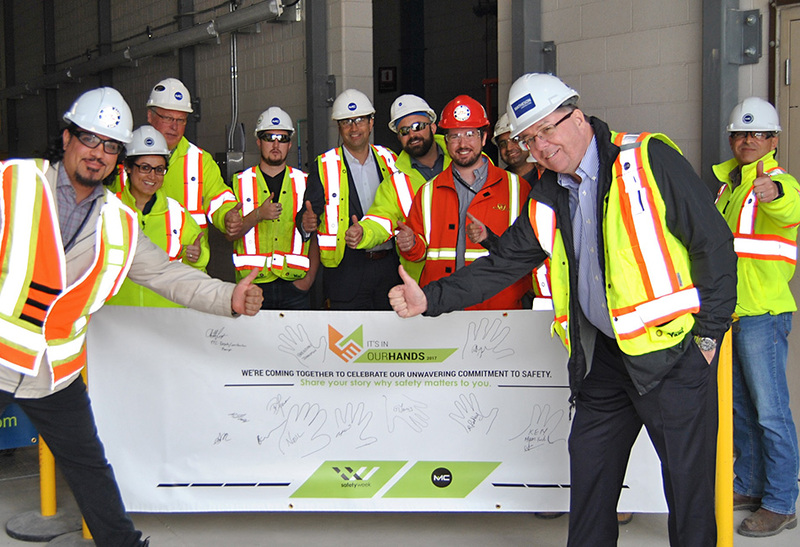 This event was part of May Safety Month and focused on Matheson’s commitment to providing a safe work place for not only our workers, but for clients as well. Matheson has completed numerous projects for the TTC and with several active projects within occupied transit facilities, it was important for us to show TTC Construction Executive’s what the safety of their operations personnel means to Matheson. Mr. Anthony Leonetti, Deputy Construction Manager for the TTC congratulated Matheson on being a leader in safety on TTC construction sites.